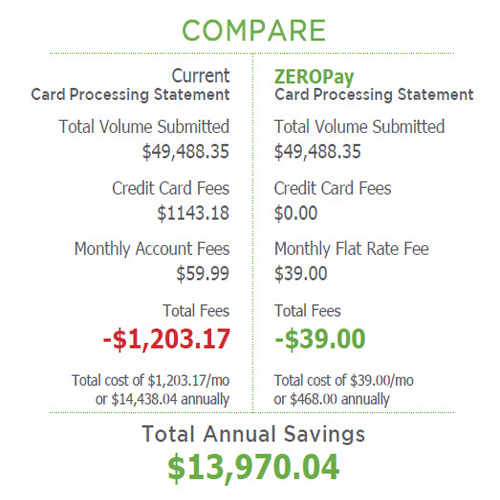 Pay ‘ZERO’ Credit Card Processing fees! Merchants no longer have to worry about the cost of accepting credit card payments. 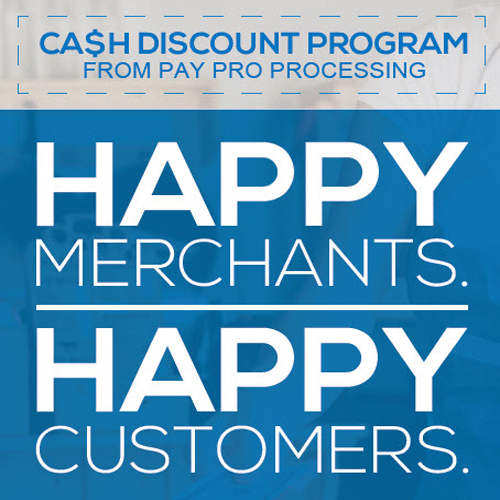 Our merchants are now able to eliminate 90%-100% of their credit card processing fees with our proprietary ‘ZERO PAY Cash Discount Program’! HOW CAN MERCHANTS ELIMINATE PROCESSING FEES? As part of the 2010 Dodd-Frank Law and Durbin Amendment legislation, business owners are allowed to pass-through their credit card processing fees up to 4% on credit card sales. This allows us to customize a special ZERO FEE PROCESSING SOLUTION to our merchants, helping them to eliminate 90%-100% of their processing costs and to increase their bottom-line sales revenues. 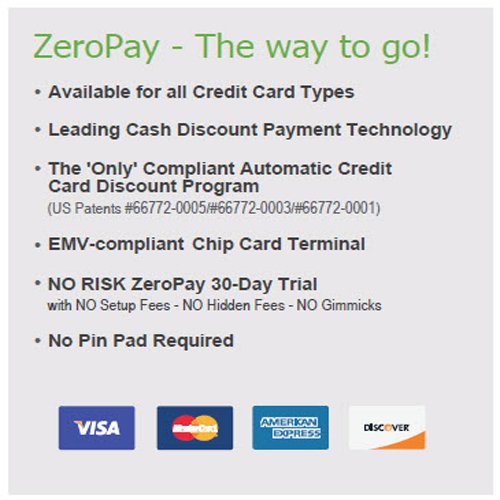 Our ZERO PAY Cash Discount software is integrated into the ‘FREE’ Zero Pay Credit Card Terminal we provide you. Merchants can then offer their customers a discount simply by paying in cash. If a customer pays via credit card, the terminal is already programmed with a small customer service fee (percentage or fixed amount) that you pre-establish with us and is applied to the sale. This fee is seamlessly added to the credit card transaction which offsets the processing fee. Both the customer payment for your products/services along with the funds from the service fee is then deposited into your bank account the next day. Thus, merchants are now eliminating their credit card processing fees! We know that it doesn’t make sense for a business owner to have to pay costly processing fees when accepting credit card payments. Now they don’t have to. 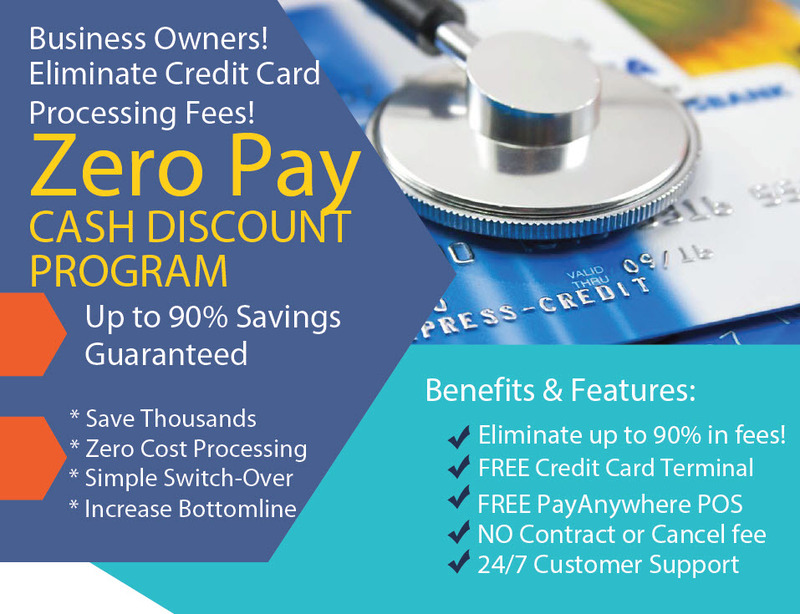 By implementing our ZERO PAY Cash Discount program, business owners are making the smart decision to help them retain up to 100% if their sales revenues and eliminate most, if not all of their credit card processing fees. Our ZERO PAY Cash Discount Program is simple, transparent and easy to setup. 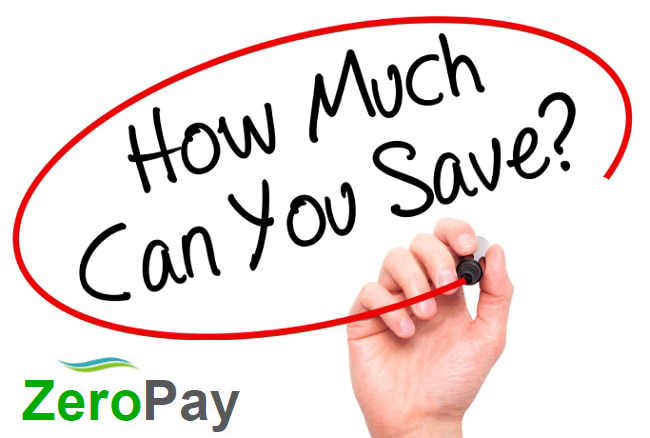 Visit our Zero Pay website here at ZERO PAY SOLUTIONS to get more detailed information. Take Charge and contact Pay Pro TODAY to get signed up! Zero Pay - Way to Go! Earn Higher Profits with Zero Pay! Save up to 100% in processing fees!